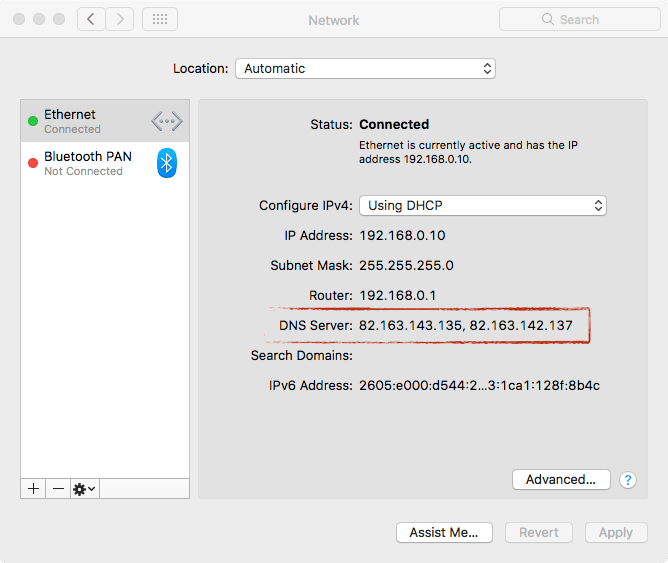 The cyber security expert and former NSA hacker Patrick Wardle made the headline once again, this time the researcher has spotted a new strain of malware dubbed MaMi designed to hijack DNS settings on macOS devices. Wardle first obtained a sample of the MaMi malware after a user reported on the Malwarebytes forums that the Mac of its teacher was infected by a malware that set DNS servers to 82.163.143.135 and 82.163.142.137. At the time of its discovery, it was undetected by all engines on VirusTotal. The OSX/MaMi isn’t particularly advanced, but the researcher remarked that it does alter infected systems in rather nasty and persistent ways. The malicious code acts as a DNS hijacker, but it also implements other features for taking screenshots, simulating mouse events, downloading and uploading files, and executing commands. The researcher discovered the malware on several websites, unfortunately, it was not able to determine the distribution channel. It is likely the MaMi malware has been delivered via email, fake security alerts and pop-ups on websites, or social engineering attacks. Wardle noticed that the malware does not appear to execute any of implement feature, likely because it requires some attacker-supplied input or other preconditions that were not simulated in the virtualized test lab used by the expert. Once MaMi has infected a mac system, it invokes the security tool and uses it to install a new certificate (dcdata.bin) it’s downloaded from the internet. How to discover is a macOS system is infected with the MaMi malware? Users can check DNS settings, the malicious code set DNS servers to 82.163.143.135 and 82.163.142.137.